Transferring files from one hard drive to another used to be a difficult task. You had to have a way to connect the drives together, and the systems were difficult to use and very time consuming. Although providing a way for another computer to download materials that you upload through email, file sharing sites or File Transfer Protocol (FTP) is still commonplace for data transfer in businesses today , there are several new methods that you can utilize to help you move data from one hard drive or computer to another. User-friendly cloud services, external media or storage devices can quickly and effortlessly transfer files – it’s usually as easy as plug and play! Here are some of the easiest ways to transfer files to another hard drive- but be sure to secure your data before the transfer! 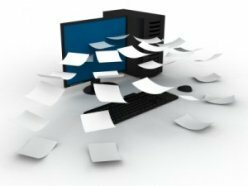 If you’re not looking to transfer a large amount of data, attaching a document or file to email is one of the best ways to transfer data to another computer. Grab a file you forgot, or transfer a document from one computer to another on a network without having to go through a shared network. Virtually any email program has some sort of tracking features that can notify you when an email is opened or an attachment is viewed. This ensures that the file reaches its intended recipient directly, and that access is limited to only that person. Transferring files via email can have its limitations. Executable files, large files, and files with less common extensions are usually blocked by corporate spam filters and bandwith limitations. 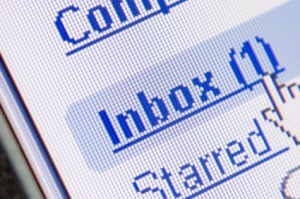 Although email limits access to the people you send it to, that doesn’t mean that it’s secure. In fact, if you don’t use a service that encrypts emails when you send them, you’re running the risk of sensitive information being exposed. Limit the attachments you send via email to extreme emergencies or non-critical files and information if you can. When you’re transferring files- especially those files that are critical to the business or contain sensitive information, there are several other more secure and easy to use methods that give you the ability to share your data. Copying data onto external hard drives, thumb drives, or other storage devices is another way to transfer data. 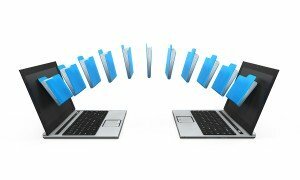 Moving individual files or backing up the entire system from one computer to another is quick and easy- and in most cases it’s plug and play! All that’s really required is a connection that’s compatible for each computer. You can download the files that you need to transfer to the drive, disconnect it safely, then connect and access the drive on the new computer and copy the files onto the new system. If you’re a business owner who is always on-the-go, it might be prudent to carry a flash drive with you for data backup so that you can access your files using any computer. Now that there are external hard drives are just a little larger than your credit card, you have a very secure, easy to manage system to transfer any size file from one place to another. You can also use external hard drives or thumb drives as a secondary backup of critical files. It’s always good to have another way to back up critical files in case you have an onsite issue or problems with your online data backup service. The more prepared you are, the less likely your company will be affected by an unforeseen issue. External hard drives are also fairly secure- as long as you don’t lose them. Be sure to encrypt and password protect an external hard drive with software to ensure your data isn’t compromised if you do misplace your drive. Cloud Storage is one of the most popular and easiest to use method for file sharing in today’s digital world. The right service provides you with a secure upload of virtually any type of file to an online service or ‘drive’ that allows you to share any size file with anyone you choose. Cloud Storage gives you the ability to cut costs, improve productivity and access, and gives your employees the freedom to access and upload their files with one click of the mouse. There’s no hardware (besides your computer) required- all you need is a connection to the internet, and the files you want to transfer. Not only can you upload and download files easily, you also have access to and shared files instantly. 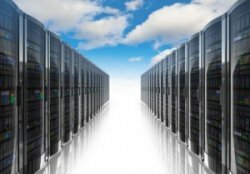 If your company uses a cloud server, your data is nowhere near the office building and will remain 100% intact in the case of a catastrophic event (flood, fire, hurricane, etc). This is why there are more and more companies using a cloud service to back up their systems instead of using backup tape rotation or other traditional methods. If you’re an advanced user, you may consider downloading and using an FTP client. The number and size of files you can transfer using FTP is virtually limitless, but you’ll have to have access to the internet. This type of data transfer system is usually utilized for websites and complicated file systems- it’s not something you need to use on a regular basis if you can avoid it. The biggest issue is understanding how it works, and obtaining access to network and server information and account details to complete the transfers. Be very careful using this system- just one mistake can crash an entire website, costing thousands of dollars in lost revenue and IT Support. No Matter What Data Transfer System you Use- Encrypt Your Files! If you’re transferring files over a network, especially an unsecured network, it may be a good idea to encrypt your files before beginning the process. Encrypting files can secure your files’ contents by requiring a password for access. Transferring files from one location to another can always add to the potential of unauthorized access of files, so securing your data can protect you from unintentional data breaches and hackers. Make sure you have a secure password, limit the access of your data to employees you trust, and make sure to have a strong data security plan. Looking For Easy Data Transfer For Your Business? Record Nations Can Help! Record Nations can help you find the right cloud data transfer service for your needs. Come see why we are the first choice for data backups and cloud storage solutions. Contact us for a free quote today! If you have any questions, fill out the form to the right, or give our experts a call at (866) 385-3706. Our team will help you find the right paperless solution for your business.